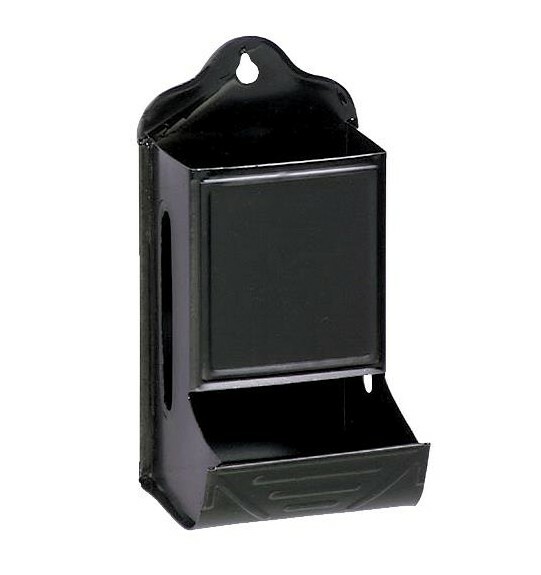 Our black metal match box holder is an elegant early American decorator item for fireplace or kitchen. This classic matchbox holder is designed to hold one standard size box of stick matches. Mount the matchbox holder on the wall near your fireplace, stove, or kitchen to keep matches within reach. Durable painted black enamel finish on metal. American Made!